Tag Archive | "Phone Specification"
LG GM750 is a touch screen smart phone device with Microsoft’s Windows Mobile 6.5 operating system. The S class interface of this handset gives the users one of the greatest cell phone experiences. This is extremely user friendly and you ca not go wrong with this hi tech gadget. With limited hardware keys most of thee functionality is controlled with the touch screen display. The display is 3 inch large with TFT resistive touch screen. 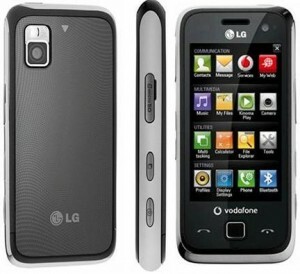 The phone comes with 256 K colors this means the phone can show you high quality images with 240 x 400 pixels resolution. This 3G enabled mobile set ensures you high speed wireless internet access. It also supports multimedia data applications like photography and video. These smart phones comes with 5 MP camera with autofocus facility. Hence you can take beautiful snaps of the memorable events with ease. It also enables the user to capture and stream videos from the handset. Let’s record and share your experiences with friends or relatives or social networks. If you are away from your office and want to call an urgent meeting then the video surveillance can be quite useful to conduct a video conferencing with your colleagues. LG GM750 offers you one of the easiest texting experiences. The device uses T9 text functionality for the users’ convenience as it saves your valuable time a lot. You can access 24 hours internet service with the WAP browser. The device facilitates to send email, or chat in instant messenger. You can also upload the documents files like Word, Excel, PDF viewer, PowerPoint, OneNote from your computer and email them from your mobile. The device has got Bluetooth and micro USB port for fastest data transfer. The hi-end gadget has everything that you need to manage your office schedule. It has alarm clock feature with calendar, phone book entry etc. You can store unlimited contacts in your phone book. The internal memory gives you 187MB space and when it is full, you can expand it up to 32GB. The device gives you wonderful facility of playing games. You can spend your leisure time with the in built games or can download various other games browsing mobile internet. So it is not just a style symbol but it can be your great companion also. The standard battery can run up to up to 450 hours in stand by mode and gives you 6 hours 20 min talk time. 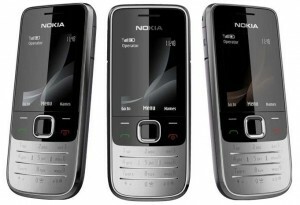 Nokia 6600 Fold is a wonderful mobile set from Nokia. If you want to buy a handset which offers you great performance with sensuous design then Nokia 6600 Fold is certainly an excellent option for you. This superb clamshell device is approximately 110g and though it is little heavy but you can easily carry it everywhere. If you have a passion for photography then you will be happy to know this stylish handset has a 2 mega pixel LED flash camera in the back side. You can also do video recording with the device. You can also do voice record and share it with your friends. This mobile has got an attractive feature. Whenever you tap it on the front side it lights up and slowly the electromagnet mechanism opens the fold. The device has everything that a mobile user would expect in it. With the stereo music player and FM radio you will love to spend your leisure time by listening to music. The sound quality is also very good. The device can download various mobile games. The phone can make video calls with the help of the secondary. The mobile supports 3G networking system. It has 18MB internal memory but it can be increased to 8 GB by inserting a micro SD card into it. This is GPRS enabled and has Bluetooth connectivity. So you can safely transfer all your important data to any other mobile set or computer through it. The USB connector is also there for faster data transfer. 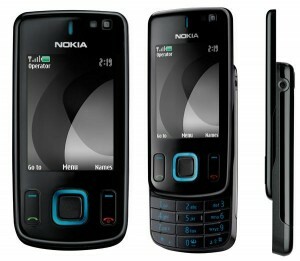 The battery of Nokia 6600 Fold is very powerful and the battery life is almost up to 300 hours in stand by mode. 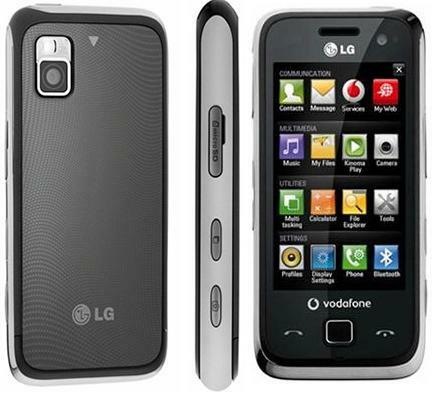 You are allowed to send MMS or text messages via this handset or even browse internet. The keypad is very easy to use. It is made with a softer material which feels pleasing on the finger tips. Texting messages were never so easy with a basic mobile phone. The display of the mobile set is called QVGA screen which is 2 inches wide with bright visuals. There are various wallpapers and themes available in the mobile set. You can set them according to your preferences. The phone displays every missed calls, incoming calls or waiting messages on the screen. Though the features are of a basic handset but it feels great whenever you hold it in your hands. The luxurious and attractive look has made this an outstanding piece of art.